This was the year of firsts. I really hate that saying. Why? Because, what it really means is each and every "special" occasion, holiday, event, etc. is impacted because Chris is not there. It's true, every holiday, trip, dinner, game, was just not like it was before. Guess what? This coming year is not going to be any different. Nor will the year after that or the 20 years after that. From the standpoint of not having Chris here they will all have the same feeling. Most will be good times, fun times, exciting times, but there will ALWAYS be a small piece missing which would make it complete. 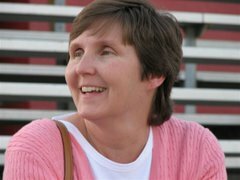 This blog was created several years ago and it's purpose was to keep all of the hundreds of people that loved Chris so much informed about what was happening in her life with her battle with breast cancer. At the same time that it provided information to you, it also was helpful to me by giving me a forum in which to let out some of the emotions (good and bad) that were flowing through me. This past year was just horrible to put it bluntly. Next year will hopefully be better. At the same time though this past year was also a way for my family and I to get stronger and closer. From that standpoint I think I did well and that my family did well. We have a lot of work ahead of us but we'll face each challenge as it comes. I put a survey up asking if you wanted to see me continue this blog. Final scoring was about 30 yes's to 1 no. The no wasn't mine! But, I agree with the no and it's my choice. :) So this will be my last post on this blog. Be sure to bookmark it when you get there. Please send me some ideas of what you would like to see on the blog but for now it will be similar to this. Chris lives on in each and every one of us. Especially within Tyler, Alex, Michael and I. Don't worry, there will still be PLENTY of mention of Chris in the new blog too, however it will be more geared towards the kids and I, and what we're up to. Very much like this blog has been in the last 9 months or so. I don't know how often I will update it, but I will do my best. Well this is my FINAL post here and I would like to say one final thank you to each and every one of you who have viewed this blog. Most are friends, some are family, and some are unknowns. I urge you to go back and read some of the old posts as I just did. They can be entertaining for sure. Please remember to keep Christine Annette DeWitt in your thoughts and in your prayers. She was a very special woman to all of us. She is missed so much by her parents, brothers, sisters, children, and of course by me. Her loss has left a huge impact on our home, the community, and office place, but it is up to all of us to take what we have learned from her and the values that she has set forth for us and to continue on in her honor and her memory. She will be remembered not only by this generation, but for future generations as well. Thank you for all of the love and support that you've given me and my family the past few years and especially this most recent year. The pain of Chris's death remains and will for a long time, but with continued support we will work through the pain and continue forward as best as we can. P.S. If you are a first time viewer of this blog and would like to start from the beginning click HERE and it will take you to September 2006. It wasn't an anniversary to me. When I hear the word anniversary I think of the obvious. A date, usually 1 year apart, that you use to celebrate some event. Unfortunately, it is also used for events that are not celebrated but simply remembered. 9/11 will always be a date that we will remember forever. Chris's passing on that date will mean that we will never forget the date that is for sure. The entire week leading up to Thursday was difficult. Thursday was the worst. Can't sugarcoat it. The pain that I felt last year on this same day when Chris passed away was just as bad this year. I don't know why, it just was. I didn't set my alarm, and I went to bed around 2AM and very tired. I woke up early and rolled over to look at the clock. It was 6:20 am!!! Chris passed away right around 6:30am last year. I laid in bed for a little while and absorbed it all but could not help but recall the minutes from last year. Tyler decided that he wanted to go to school. But Michael wanted to go to a mass in Damascus that was being said in her honor. Chris's parents were going so we decided to surprise them. We got there a little early and went to the church. I had not been inside that church in 20+ years, but when I walked in I remembered EVERYTHING about it and more importantly the exact place where Chris and I sat the 1st time she and I went there. It was a wonderful memory. We were young and sat 1/2 way back and held hands which I can remember vividly. After mass, Chris's parents, Mike and I went to a small diner in Damascus (where Chris grew up) and had breakfast. After that Mike and I came home. He just sort of vegged out as did I for a little while. I received many emails and well wishes throughout the day. One which was very special was a visit around noon by a special friend, Aylesha. She worked in the Cancer Center in Frederick where Chris and I would go for her chemo treatments. Aylesha was a wonderful person and made Chris and I so comfortable during the most trying of times. She continues to work in the hospital oncology ward and went out her way on Thursday to visit me and bring me flowers because she knew that Chris liked them so much. I went to the cemetery around 2:00. I've been there more times this year than I can count, but this time was a very difficult one. I took baggie with 2 pictures in it and placed it at the site. Other people had already been there but I was able to be there alone for the duration I was there. The weather was very nice. Later in the evening Chris's parents were returning from the cemetery and called here. I told them to come by and we all went out to dinner. The restaurant located in downtown Frederick was the same one we all attended during the evening break at Chris's wake. We sat in the front window and watched people go by. Dinner was very good and we really enjoyed each other's company. We came home and they stayed for a little while. I finally, got the boys to bed around 11 and collapsed myself very soon after. A year of firsts comes to an end. Every day since Labor Day I have dealt with reliving each day as is occurred this time last year. I thought that I would be able ot put all the bad things behind me. I was wrong. Chris went into the hospital on Labor Day last year, came home 1 week later, and passed away at home the very next day. I've tried very hard to keep good thoughts inside of me, but this past week has been a constant reminder of things that I just can't seem to shake. For example, the night that my neighbor Ray brought the boys to the hospital and Chris and I had to tell them what was going to happen to her/us. I was up most of the evening the other night reliving each word that we spoke to them that night. I've tried so hard this past year to take care of our family as best as I can. Running the family on my own is very difficult and at times I sit up way late at night and just pray to God and to Chris and ask for guidance. I know she is with me and the kids each day and throughout the year we have done remarkably well. Many wonderful things have happened to us and many wonderful events have been put in place to honor Chris for many, many years to come. This year was a year of firsts. All special occasions (birthdays, anniversaries, holidays, etc) that we had to spend without having Chris there with us. Some were easier than others, but all of them were dealt with one day at a time. I am, and will always be, eternally grateful to all of my friends and neighbors that have been with me the last year. I could not have made it this far without you. There are so many things about Chris that I miss so badly. So many that it would be impossible to list them all here. But the one thing that I miss the most is her being a mother. I've stepped up and had to do many things over the last year, cooking, cleaning, shopping, schoolwork, church, but the one thing that I CANNOT do is be a Mom.... I can't even begin to try. This has been the most difficult thing for me to deal with. I post this with tears in my eyes and pain in my heart. Tomorrow will come soon and we will deal with this final "first" in some way. The tears will dry, but the pain will still be there for a long time to come. This weekend was the beginning of a time that I've been dreading for quite some time now. It was Labor Day 2007 that we had to take Chris to the hospital because she was feeling so ill. It was the 3rd last year. All of the horrible memories from that week are starting to come back. The boys and I were not going to sit around and take it though! Saturday we left for the day and went to the Maryland Renaissance Festival over by Annapolis. We had a good time. We ate a lot of good food, steak on a stake, sausages, you name it! Chris and I went to this about 20 years ago when we didn't have children. This year was a fun time for Ty, Mike and I. We saw jousting and watched several of the comedy and juggling acts. It was nice to see the boys laughing, me too. Sunday we went out for a pool party to our friends Danny and Brenda. Sort of an end of summer gathering. It is so hard to believe that summer is over! We got home late but had the dog with us so it didn't matter too much. She likes going and running with their 2 bigger dogs. OH yeah, I made some special beans for this event and I must say they came out pretty good. Everyone enjoyed them. I've been trying to better my cooking skills, what few I have. Monday, we decided to take in the final Frederick Keys game of the season. The game was in the afternoon and it was a glorious day outside. They have a pizza giveaway each game to the fan(s) who scream the loudest in between innings. Well Michael won that hands down this time! So we had a large pizza for lunch. Michael also was able to run down 3, yes 3 foul balls at this game. He and Tyler are really good at this and every game that we go to someone comes home with a foul ball. After the game Michael also was given a bat from the dugout! Another one for the collection! We saw Dave, (Keys General Manager), after the game and congratulated him on a successful season and looked forward to opening day next year! He's been very good to me and my family during the last year and we can't thank him enough. WILLIAMSPORT, Pa. – Erica Brown has been named the head women’s lacrosse coach at Lycoming College, as announced by Scott Kennell, the College’s director of athletics. Brown played Division I lacrosse and served as a graduate assistant coach at Lock Haven from 2005-07. 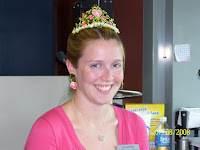 Brown spent the last year working as a customer service specialist at Villanova University. Prior to her employment at Villanova, she served two seasons as a graduate assistant coach at nearby Lock Haven University, working with the Division II Lady Eagles’ lacrosse program. While at Lock Haven, she assisted the coaching staff with all areas of running the program, including recruiting, gameday preparation, conditioning, academic monitoring and fund-raising. The Lady Eagles posted a combined record of 33-6 in her two years on the staff, including a trip to the NCAA Final Four in 2007. That same year, Brown coached the Division II Midfielder of the Year, two first team All-Americans, two second team All-Americans and two All-NCAA Tournament players. In her two years at Lock Haven, she coached a total of seven All-Americans. She played lacrosse at Wagner University. A standout goalkeeper, Brown still ranks second all-time in Wagner history in career minutes played, career saves and career goals against average. She also holds the record for minutes played in a season and ranks second in saves in a season. A co-captain of the team in her senior year, she was ranked on www.lax.com as one of the top-12 goalies in all of Division I. Brown earned a bachelor’s degree in public policy and administration from Wagner in 2005 and is working toward a masters degree in liberal arts at Lock Haven. She is certified as a lacrosse referee by the Pennsylvania Interscholastic Athletic Association (PIAA) and U.S. Lacrosse. Well Saturday Michael and I took Alex back to school to begin her Junior year. Yes only 2 years to go... It was certainly sad to see her go as it was really nice having her home for the summer. Now that she's gone it is just the boys and I again. Last year was a tough one for sure but we are hoping that the coming year brings us a little more patience with one another as we all try to do as best as we can in school, sports and our jobs! While we were at the school we went over and took a first hand look at the memorial brick that was place in honor of Chris by the Lycoming lacrosse team last year. It was a wonderful sentiment and was just wonderful to see her name on there. In fact her brick is only about 75 yards away from Alex's dorm room (3rd floor AGAIN!). So she's being well looked after. Michael and I said our goodbyes and then we went over to watch some of the Little League World Series. We caught the US championship game and it was really fun to watch. There were 24,000 people there and most were in the outfield with us! We got home later in the evening and then just crashed. Tyler went with his grandfather to help Joey work on his house that he recently bought and is fixing up. Today, Sunday, the boys and I went out for a late breakfast and then we went over to the cemetery to do some gardening. There hasn't been much rain lately and the flowers are starting to take a beating. We cleaned up and made our way home. An email from the American Cancer Society! What the Frederick Keys accomplished in partnership with Comstar and ACS is nothing short of INCREDIBLE. To raise the amount of money in a few short hours that they did...and so generously match it...is nothing short of AMAZING! And to open their venue to ACS to pay tribute to so many local cancer survivors as well as raise funds for local programs is AWESOME! We were able to reach survivors in our community that have never been a part of an event that brings with it so much hope and healing. Thank you so much to each of you for being a part of this inaugural event. You are all AMAZING people with big hearts...and I am sincerely grateful for all that you do! I'm already looking forward to doing this again next year! Well it finally happened! Friday night went off perfectly. After getting rained out completely in July, the Inaugural Chris DeWitt Breast Cancer Awareness Night drew a really good crowd for the Keys game. I spoke a few words of thanks before the game started along with a representative from the American Cancer Society. It turned out that the person invited to speak was Michael's vice principal from school ! He's a wonderful guy and has been so very helpful to us this past year. After some words the kids all got to throw out a first pitch. All 3 of them threw perfect strikes! The game itself wasn't all that good. They lost 14-0!!! One of their best pitchers started the game and gave up 9 runs before getting the hook! The evening was loaded with so, so many friends and family members. I only was able to sit down and watch a couple of 1/2 innings. My good friends Rich and Jill were able to attend as they were in town and this is THE reason that the previous date was rained out. Chris wanted them there. During the game there were several events going on. First was a silent auction where all of the players pink hats, the actual bases and some pink bats were being auctioned off to the highest bidder. There was also 3 raffles going on where fans could by tickets for a chance to win one of the actual used bases, one of the pink signed bats, and a pink hat signed by the entire team. All are very wonderful prizes! When I went up to claim my prize I saw Tyler running towards me. He was excited and told me that we won! I said I know. He said NO.... we won the base! He had tickets as well and his was drawn as the winner of the signed base! Let's see, 5500 people times.... 5 tickets each... Roughly 20,000 + tickets. 3 drawn and 2 were ours. Fate? I think we had some help. Thanks honey! The raffles and auction raised a good deal of money which the Frederick Keys organization is going to match! They will be making a very generous contribution to the Children's Trust Fund all in Chris's honor. After the game the American Cancer Society went out and displayed all of the luminaries that were sold during the game. They placed them along the basepaths and lit them with candles. After I spoke, they turned off the lights and I was able to walk with Laurie Fry of the Cancer Society and I was able to see several that were lit for Chris. That moment and the joy of the entire evening finally took it's toll on me and I could not stop crying. I made it back to my section with friends and family while the fireworks display was going off. On the big screen in the outfield was a rolling display of many different things about the evening. The last photo you see here is a picture of Chris that was displayed for a great deal of the fireworks. It was a wonderful ending to the most wonderful evening and best honor that could have been given to Chris. I know she would have been very humbled as I was. This is a busy weekend. My good friends Rich and Jill came into town on Wednesday evening to visit. They are here for the weekend to attend a crab feast and to go to the Keys game in honor of Chris. Wednesday they came to the house and I showed them all the progress on the basement that we had made. Rich came down to visit me in May and helped pick out the colors with me. Confederate and Union soldiers there. The headstones are very old and many are faded away and several years ago new ones were erected directly behind them. The first picture here shows them lined up along the fence. After going there, we picked up Shannon so Alex could go to work and then headed off to Antietam Battlefield. About a 35 minute drive. That was the site of the bloodiest 1 day (12 hours really) battle in civil war history. 23,000 soldiers died in that one day alone! It is a very special place to go and visit. After the driving tour we went into the Antietam National Cemetery where about 5,000 soldiers are burried. My niece Gillian has left for Med School! She is attending the University of Pittsburgh. Her family had a little get together for her on Sunday and we were able to wish her well before she left. Chris and I talked a great deal about Gill and her desire to go to med school. It is wonderful news to see her make the jump!!! We went to the Keys baseball game last Thursday and while we were sitting there they ran a long promo for the entire inning on the mini-tron in the outfield. Sorry for the blurry picture but Tyler was a little shaky holding his camera. It's a nice announcement about the upcoming baseball game on the 15th. I also heard from Chris's high school reunion class and a big number of them are planning on attending as well. Yesterday morning I received a phone call from Kara Reber, Alex's coach at Lycoming. She had a long list of people she was calling and letting them know that she is moving on to another coaching opportunity here in MD. I was honored to here that I was first on her list! She has become a big part of our family the last 2 years and although it is hard to see her go I told her that I was very happy for her. It is a great opportunity for her to advance her career. WILLIAMSPORT, Pa. – Lycoming College head women’s lacrosse coach Kara Reber announced her resignation on Wednesday to accept the head coaching job at St. Mary’s College of Maryland. According to Scott Kennell, Lycoming’s athletic director, a national search has already begun to identify her replacement. The Lady Warriors posted a record of 47-34 in Reber’s five years at the helm of the program, including back-to-back 14-4 seasons and trips to the MAC semi-finals in 2007 and 2008. The 2009 squad returns all but four players, who graduated in May. Like I needed to be reminded! Every morning, as the dawn's early light reaches the bronze statue of Francis Scott Key, Ronald Pearcey steps down from his porch and opens the iron gate to Frederick's 156 year-old Mount Olivet Cemetery. Pearcey has lived and worked at the cemetery for nearly 43 years. He oversees a great deal of American history, regularly meeting Civil War buffs, students and tourists, patiently answering questions about those enshrin ed. When he can find time, Pearcey still researches old diaries trying to identify the remains of hundreds of unknown Confederate soldiers brought from the battlefields of Gettysburg, Antietam, South Mountain and Monocacy. The cemetery sits on 150 acres atop the city's highest pla-teau and holds the remains of more than 40,000 persons. But Mount Olivet also continues to function and serve area residents; in fact, two new mausoleums broke ground in April and 35 acres remain available for burials. "It keeps you pretty busy," said Pearcey, who started in 1966 after a lead from the county unemployment agency. He took over as superintendent in 1983 from Bob Kline, who himself worked at the cemetary for 48 years. Pearcey isn't the only long-tenured employee. His staff of 18 includes office manager Austin Drury, who started in 1979. Jesse Shank, cemetery foreman since 1962, manages the actual grave-digging with Tyrone Hurley, who has been at the cemetery for 25 years. Hurley's sisters, Polly and Jeannie, have taken care of the flowers and shrubbery for more than two decades. In a near-tragedy last month, Shank's son Jamie, who works on the grounds, severed his right arm in a wood-chipper accident. Incredibly, it was successfully re-attached and something close to a full recovery is expected. "It's amazing," Pearcey said. "We did everything right and he had a great doctor. He's due back to work real soon. It's hard to believe anything good could come out of that, but I think something might if he shares his story." In 1852, four downtown congregations, Evangelical Lutheran, All Saints Protestant Episcopal, Methodist Episcopal and the "English" Presbyterian Church raised $10,000 for the land then called "Barrack's Hill" -- because of the nearby Hessian barracks. A decade later, the bodies of 408 unknown Confederate soldiers were brought here from western Maryland and south central Pennsylvania. Other bodies, too, of men who died at the numerous Frederick hospitals. Pearcey can recount their journey and how they came to Mount Olivet, as well as Francis Scott Key's saga. The lawyer, poet and author of The Star Spangled Banner was born in Frederick in 1779. When Key, for example, died of pneumonia in 1843 at his daughter Elizabeth Howard's home in Baltimore, he was initially interred there in Old Saint Paul's Cemetery. In 1866, his body was relocated to Mount Olivet. In 1898, the huge monument where he and his wife lay was erected. "He was born here and, supposedly, always had said he wanted to be buried in Frederick overlooking the mountains," Pearcey said. Local patriot Barbara Fritchie is nearby. A friend of Key's, she was 96 when she famously waved a Union flag at Stonewall Jackson's Confederate troops in 1862, daring them to "Shoot, if you must, this old gray head, but spare your country's flag." Thomas Johnson, Maryland's first governor, U.S. Supreme Court justice and delegate to the Continental Congress, and James Cooper, a Union general and senator from Pennsylvania, are buried at the cemetery, too. On a different historical note, Mount Olivet was a strictly segregated "white only" cemetery until 1954, Pearcey said. "Written into the by-laws." Pearcey explained that in the 1940s a white businessman and farm owner named R. Rush Lewis sued Mount Olivet, a community-owned non-profit, in order to have his children's beloved "colored" nanny, Bird Smith, buried at his family's site. "People apparently had mixed-feelings about it at the time he brought the suit, but because it was in the bylaws it held up in court," Pearcey said. "She was buried on their farm." Four decades later, in 1986, the farm was sold to a motel chain which asked if Mount Olivet could remove the casket. Smith was brought to the cemetery and buried in a small service. "Rush Lewis' daughter Elizabeth Peters was still alive and lived in a house downtown on Court Street," Pearcey said. "The day of the service, it was pouring rain and I called and asked her if she wanted to come. She was very elderly, 87 years old, but she said she wanted to. So, I went and picked her up and held a big umbrella over her the whole time. "I think finally getting to see her buried where she was supposed to be buried brought her some peace." The largest service that Pearcey could remember was in 1988 for a 16-year-old Brunswick High School baseball player named Richard Allen Maceron, who died of an illness. Pearcey believes it was leukemia. "It was February and it was a sunny day, wasn't cold at all," he said. "Long after the service was over, people were coming, the procession backed up all the way to Brunswick. The truck stop across I-70 was filled with cars." "I knew him from baseball, my son played baseball then and he was just a popular, well-liked kid," Pearcey said. "All the kids from the high school came, walking single-file by casket." Pearcey's own sons, Jeremy and David, now 37 and 36, respectively, worked at the cemetery growing up, cutting the grass, trimming and weeding. Tragically, their mother, Kathy Pearcey, Ronald's first wife, died in 1995 from complications related to diabetes and rests at cemetery. Shortly after Maceron's funeral, another baseball story began, albeit, a much happier one, directly across the street from Mount Olivet. The minor league Frederick Keys moved into the new Harry Grove Stadium. Not coincendentally it turns out, the two dozen plots closest to the ballpark, space that had been sitting idle for years, sold immediately, Pearcey said. Longtime American Legion baseball coach Harold E. "Sonny" Blank, whose teams played on the previous field, is buried within a good throw of the ticket office. He even has a baseball diamond and batter on his tombstone -- designed by Pearcey. "You know, they play the national anthem before every game and Francis Scott Key is buried less than a quarter mile from the stadium," Pearcey said. "And no other place can say that. "The other thing, if you notice, is that his right hand on the top of the statute, which was built in 1898, points exactly to where the home plate sits. I think that's kind of interesting." Last weekend before traveling to NC for vacation I was able to attend a very special charity golf event. My good friends Rich and Jill in Rochester, NY lost their son to leukemia 2 years ago on June 29th. Last year they held the inaugural golf outting to raise money for Camp Good Days which is a camp to help kids and families that are going through the struggles of cancer treatments. Last year I was unable to attend this event because Chris was in the hospital at that time. I sponsored a hole then. 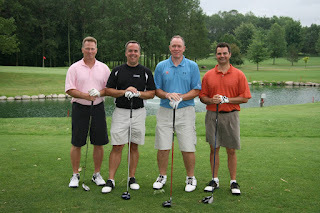 This year I sponsored a hole and was able to attend the event. I played with my friend Rich and even though the weather was iffy at best they still managed to raise over $5,000 for the camp! My hole sponsor banner is the picture above. The basement is finally nearing completion. Tyler and I have worked really hard on the basement and it is now to the point where we need to put furniture in it! We just bought a sofa and loveseat with some accent tables today so that's done. Next step is stools for the bar and a pub table. More pix to come once we get things hung on the wall!!! We started this about 6 months ago. Tearing out everything in the basement. New bar, new lights, new tile, new carpet, new paint.... You get the idea. The TV and stereo cabinet are in and finally hung permanently. They're perfect. This email was received this past week by the Lycoming Women's Lacrosse Team. Thanks to everyone who participated in the Pink Out. It helped make this happen, but the girls did a whole bunch more as well. 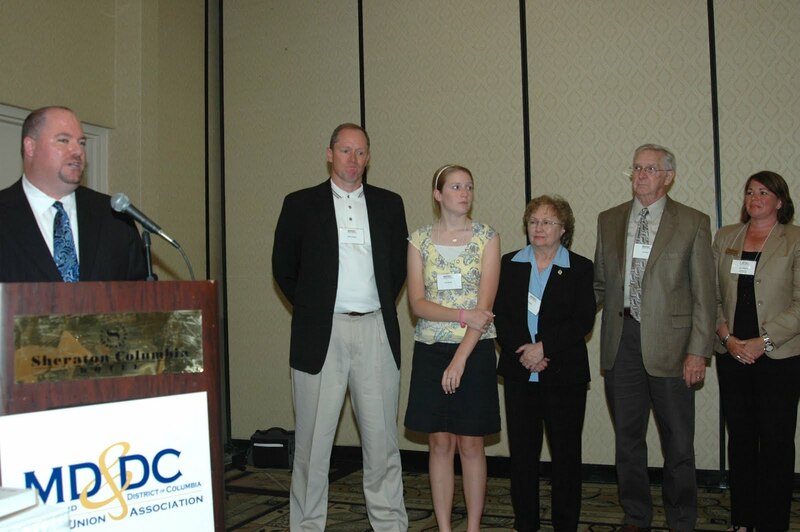 Hi Kara - On behalf of the Awards Committee for the Intercollegiate Women’s Lacrosse Coaches Association (IWLCA), I would like to extend congratulations to you and your team for being selected as the 2008 Team Community Awareness Award Winner. There were many outstanding teams nominated for this award, so congratulations again on being selected. The award will be presented to you at the Awards Banquet at the IWLCA Convention. A media release announcing the award will go out the week of the convention. Well I finally had a chance to meet Mr. Andy Buerger. This gentleman is the person responsible for creating the Climb for Hope program that raises fund for Dr. Emens research for a Stage IV vaccine to treat breast cancer patients. He just came back from a very successful climb of Mount Kilimanjaro in Africa. He was an extraordinary man with a huge heart. He's been doing this for about 3 years now and the numbers in his group continues to climb. He shared with me some personal data of which I will keep to myself, but in a nutshell the research that he raises money for is something that could benefit someone in his personal life as well. Best of luck to you and your loved ones Andy! Tomorrow morning Alex and the boys are driving to the Outer Banks, NC for a week of vacation with our close friends across the street (Ray and Cheryl). I am flying to Rochester, NY to attend a special charity golf tournament in honor or Ryan McPhee. I'm coming back on Monday and then driving down on Monday to the beach. Should be a busy weekend. Once there a little R and R on the beach will be most welcome. Chris and I had been several times before with Ray and Cheryl to the beach to the same location. It will be hard not having her there with us but I'm sure she'll be watching over us. While we were loading the car we came across a bucket of beach toys and in it were a bunch of shells that Chris had collected the last time that we were down there... that hurt a little. Everything, and I mean everything was in place and ready for Sunday night's special event at the Keys stadium. Several hundred cancer survivors were pre-registered and they were expecting a big crowd. The newspaper did their job, radio did theirs, American Cancer Society was ready to go!! It rained. Big time and would not stop. Disappointing, but as Dave the GM put it, "it gives them more time to promote it to an even bigger event". The Breast Cancer Awareness night in honor of Chris will now be held on FRIDAY AUG. 15th at 7:00 pm. Friday's are traditionally big nights. THis one will be huge as Fireworks are already on the schedule. Climb for Hope Makes it home!!! The picture shows: front row (left-right) Molly O'Brien (PA at Annapolis Breast Cancer Center), Andy Buerger, Beth Dyer. In the back is Dr. Leisha Emens. She is the wonderful physician that treated Chris with such dignity and respect while she was at Johns Hopkins. The following text is from an email that Andy sent to me after Beth sent us both the picture. Andy is the creator and primary contact for the Climb for Hope program. Thanks for sharing that picture. 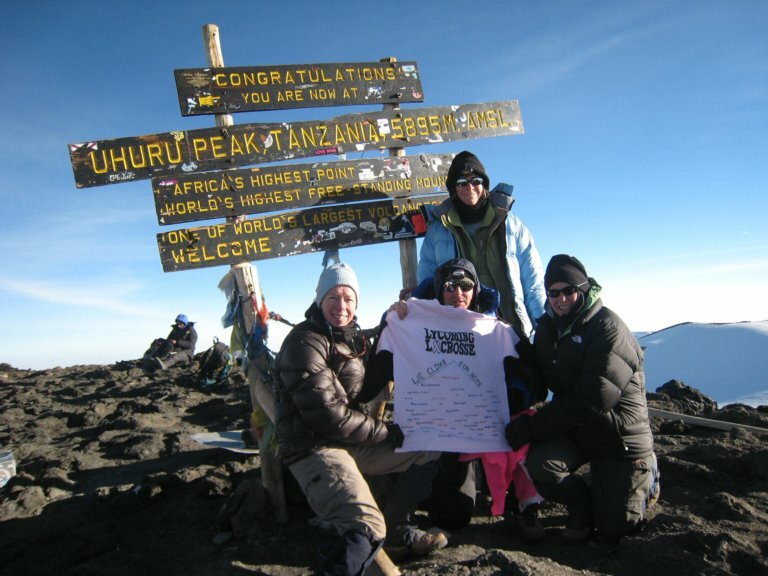 It's a great shot -- so glad you hauled that t-shirt all the way to Africa and then along our 65 mile journey to the 19,400 summit. It's a real tribute to Christine. I told the 25 people in that tent that when it got dark and cold and we were tempted to turn back, ponder what challenges Christine went through and how important it was us to walk in her pain for a while. Besides we couldn't let down the hundreds of your supporters that were following us. So, Charlie, every single person made it up to Africa's highest peak, miraculously. We fought debilitating blisters, stomach problems, dysentery, exhaustion, and terrible cold. I have to think that Chris gave us little tug every once in a while when we were struggling. I'm proud to tell you that yes, we had 100% success, but I'm so much more proud to tell you that we carried Chris' memory (and thanks to Beth, her t-shirt) to the summit for you and your family. You were an inspiration to us all. Please also know, we raised over $200,000 to fight this terrible disease so other women won't have to go through what your courageous wife struggled with. Christine DeWitt's name and memory will continue to be a blessing. Tomorrow is Alex's 20th birthday. She is working at COMSTAR this summer as a teller, something Chris started out as 25 years ago! They treated here like a little princess as you can see. 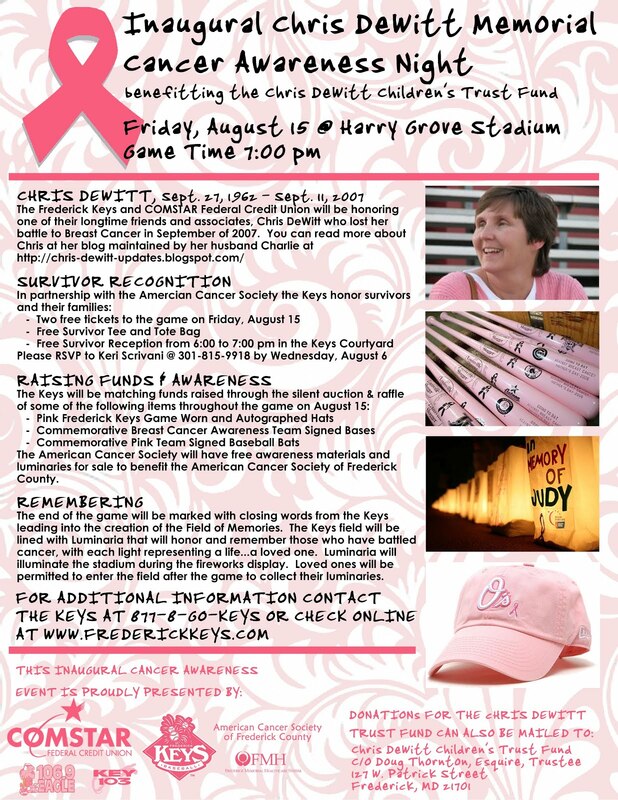 Upcoming Keys event in the newspaper! This article was run in the Frederick News Post today. Here is a link to the article online. These and many more memories bring a smile to her husband Charles DeWitt's face. 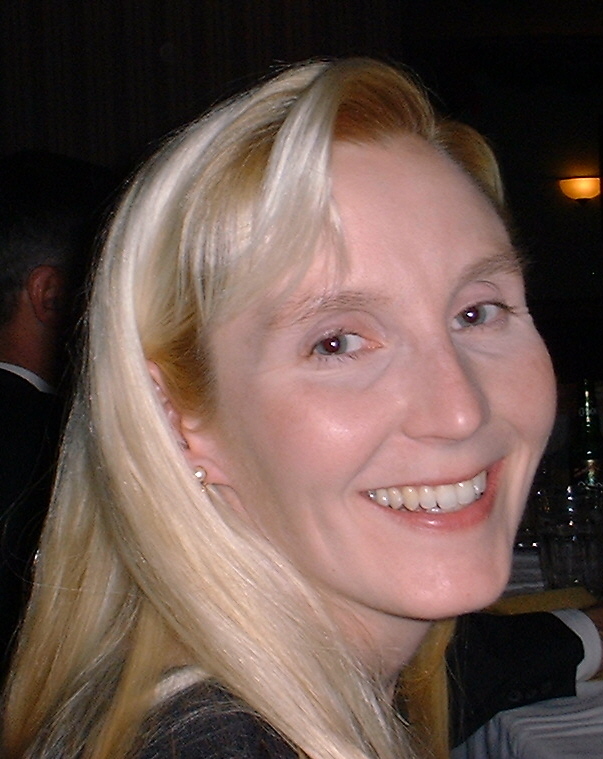 Christine DeWitt died Sept. 11, 2007, after a three-year battle with breast cancer. "We are coping," Charles DeWitt said. "We are doing well." DeWitt worked for COMSTAR for more than 20 years and regularly did marketing business with the Keys. ceremony in the Keys courtyard. The ACS and Frederick Memorial Hospital will pass out informational materials. welcome, said Laurie Frey, ACS Frederick County community manager. The event is a good way for cancer survivors to come together with people who understand what they have gone through, she said. "It's going to be a fun time," Frey said. "I'm very excited about this." 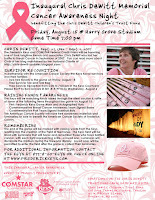 A silent auction will include commemorative pink bats, bases and hats. will match the funds raised by the auction. "Field of Memories," with each light representing a life. "It's a very touching ceremony," Frey said. has been overwhelmed by the support shown to his family. "It's very humbling," he said. "She would be very honored." This was a vacation that we were all looking forward to for the last several months, I on the other hand was looking forward to it and dreading it at the same time. A very bittersweet trip for sure. The only reason that I agreed to go was because we were going with a group of friends. There was 6 families and 23 total people going. There should have been 25 however, but 2 people were missing, Chris and our good friend Ryan. Ryan passed away 2 years ago from leukemia. His parents came all the way down from Rochester, NY to fly with us as a group. Our friend Danny put everything together for everyone and did a great job coordinating everything for us. We left Thursday evening and stayed at a hotel near Dulles airport (near DC). We were able to leave the cars at the hotel and caught a shuttle to the airport for our 9Am flight on Friday. We landed around 12:30 in Cancun and by 2PM we were at our resort in Playa Del Carmen. It is about 45 minutes south of Cancun. Our resort was an all-inclusive and right on the ocean. It was directly across from the island of Cozumel and at night you could see the lights on the island many miles away. During the day you could see the cruise ships docked for the day. The trip was sort of a "spring break" type trip. There were older kids (18 - 21) who would go out to some clubs in downtown with the resort staff. Alex was one of them. They had a great time and were able to look out for one another while away from the resort. Tyler was part of a younger highschool group. They were able to go to a resort across the street where there was a nightclub that allowed young teens to attend. They went there a few times and spent some late nights out "clubbing" for their 1st time. Michael was one of those kids where was too young to hang with the older kids. It's too bad but he and I buddied up and made the best of the week. It was not a problem at all and we both had a pretty good time. On Monday we all boarded a couple of buses and went to a natural theme park called Xel-Ha. This was a wonderful area where water comes in from the ocean and flows into a beautiful lagoon/lake are. There are paths all around the water area with rope swings, cliff diving, tubing, and most importantly snorkeling! Michael and I spent 4 hours in the water snorkeling around the lagoon. We saw thousands of fish and some of them were pretty large, 3 to 4 feet! Tyler thought he'd be smart and try to touch one while it was feeding on something. Needless to say the cut on his finger proved to him that they have teeth and they are "sharp". The rest of the week we spent at the beach and at the pool soaking up some much needed rest and relaxation. Each day we utilized the swim up bar and the all you can eat (and we did) buffet. The food was spectacular and we found ourselves making our own fish tacos with all the fixings from the buffet. Each day our room was made up and the maid would leave an animal on our bed made out of one of the towels along with real flowers. They were really cool and always fun to look at when we came back from a long day at the beach. The trip home was uneventful. We got home late Thursday and found that Ramsey (our cat) was missing. He left the day before while our neighbor was watching the house. We got a call on Friday evening from someone who got our number from his collar. He's home now and will be staying in the house for awhile. The weather was just perfect for a vacation. Hot and humid but no rain at all until the night before we left. Also the day we left it started pouring down rain about 1/2 hour before we boarded the bus to the airport. We felt a little bad for the poor people who were still there, wondering what the heck we would do if we were there and it was raining. We were busy every day with swimming, eating and relaxing! I could not have done this vacation without the support from my many friends who were there with me. Chris and I were trying for 3 years to go to Mexico and we were never able to get away because of treatments. In hindsight we should have just gone, but we didn't. the kids had a good time and I did as well, but there was never a minute that I did not have her on my mind. Seeing families and couples walking on the resort brought a constant reminder to me that our wife/mom was no longer with us in body. She still is there in mind and soul. There were a couple of moments during the week that I thought that I wouldn't be able to make it. Again, it was my group of friends that helped me through it. One day at a time... even in Mexico. Last year Chris attended her first and only golf outting. It was an outting put on by the local radio station which she did a great deal of business with through COMSTAR. I was lucky enough to be able to play in that outting and seeing her ride around in a cart is a memory that I will never forget. Chris and her "cart partner" Linda from the radio station had a great time. Linda and Chris were business associates, but more importantly were friends as well. Linda sent me this picture a while ago but now that golf season is in full swing (not for me) I thought I would get it posted for everyone to see and remember. It's been over a year since I've even considered picking up my clubs to play. Hopefully Tyler and I can get out soon. I bought him a new set of irons for getting all A's on his final report card. Tonight we leave for vacation. We are headed to Mexico with 5 other families. 23 in total. 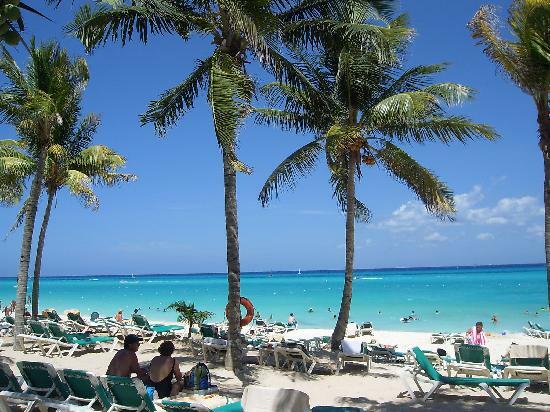 We are headed to an all-inclusive resort in Playa del Carmen, south of Cancun. The Frederick Keys, minor league team to the Orioles, in conjunction with COMSTAR are having a very special evening to honor Chris and other women affected by breast cancer. the date is July 13th at 6PM. This flyer has most of the details. The local radio stations will be running some advertisements and the Frederick News Post is planning an article about Chris and the event sometime in early July. Click on the flyer to see a more readable version. The Keys have been and continue to be a big part of our lives. The boys and I went last week to watch a game on a very pleasant evening. Tyler was able to get a bat that was used in the game by the up and coming Matt Wieters. He is just a phenomenal player and was given a $6 Million signing bonus by the Orioles last year. Matt broke the bat during the game and Ty used his charm to get it from the dugout. He basically asked nicely. He then went to the clubhouse where Matt was signing autographs and was able to get the bat signed as well! He has it hanging in the basement on a bat rack that he made in school. I received a letter from NIH Federal Credit Union yesterday. They were the credit union that received the inaugural Christine DeWitt Memorial Award for Excellence in Marketing. Click on the image to see a larger version.